Fifteen minutes earlier, Torchia had careened into a tree. After dusting himself off, he remounted his bike, but not before noticing his left wrist was badly injured. For a moment, Torchia considered pulling out of the race. Thoughts of Kopal, however, kept his feet on the pedals. A few months earlier, Kopal had given Torchia ceaseless verbal flak for dropping out of the 2016 Spring Series 50-kilometer ski race due to cramping. 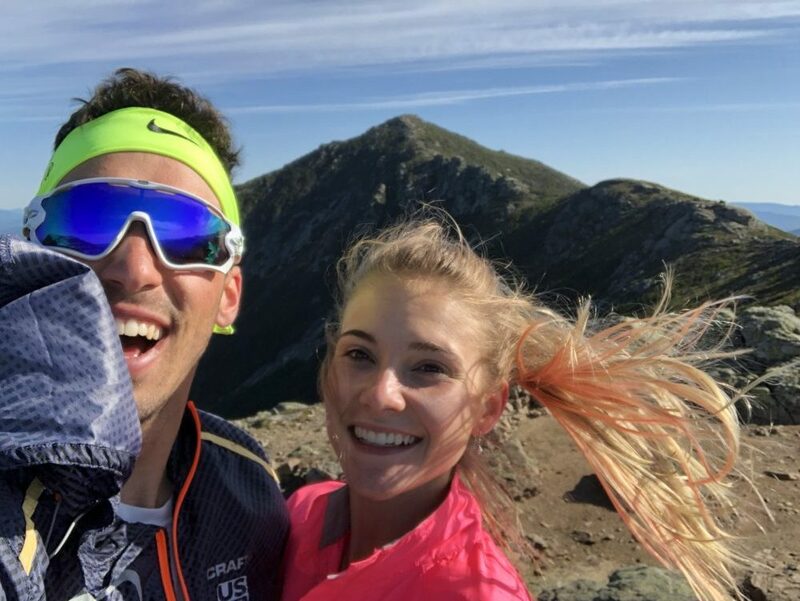 “[Kopal] was playing in my head … so I finished the last five miles with a broken wrist,” Torchia, now 22, recalled on the phone this summer, noting that it wasn’t until after he had finished the race that he found out it was broken. Shortly after, Torchia had his wrist examined by doctor and was told he would need to have surgery. The procedure — scaphoid fixed via percutaneous fixation–left Torchia in a cast. About a month before his crash, Torchia had been nominated to the U.S. Ski Team (USST) D-team and invited to two national-team training camps that summer. Torchia had intended to attend both camps, regardless of whether his wrist was healed or not. Fourteen days after his accident, Torchia departed Marquette, Michigan, his “home” since he began attending NMU in 2014, and headed for Eagle Glacier, Alaska, the location of the first USST camp. On the glacier, he skied with either one pole or none at all. When he returned to Marquette, the pattern continued for another two months. It wasn’t until the end of August that he had his cast removed. “I kept training super hard with the broken wrist,” Torchia said. All that training led Torchia to what he recalled as being “in pretty good shape” leading up to November. Then things started to go south. Fast. Right around Thanksgiving, Torchia was exhausted and experiencing severe night sweats. The symptoms continued. Torchia’s girlfriend suggested he get tested for mononucleosis. He didn’t. “I didn’t want to believe her,” Torchia said. Soon enough he had to. In mid-December, hypothermia forced him to drop out of a race. At 2017 U.S. Cross Country Championships in Midway, Utah, he felt sluggish and “off” during training, so he visited a walk-in clinic in Park City. The doctor tested for mono, and the results came back positive. Following the diagnosis, Torchia decided to skip nationals and return to his hometown of Rochester, Minnesota, for the holidays. He stopped exercising for a month before gradually returning to training. “A lot of different skiers messaged me saying, ‘On this return, you need to take it really easy,’ ” Torchia said. (One of those skiers included Tad Elliott, who caught the Epstein-Barr virus in 2014 and went on to win a national title in 2016). 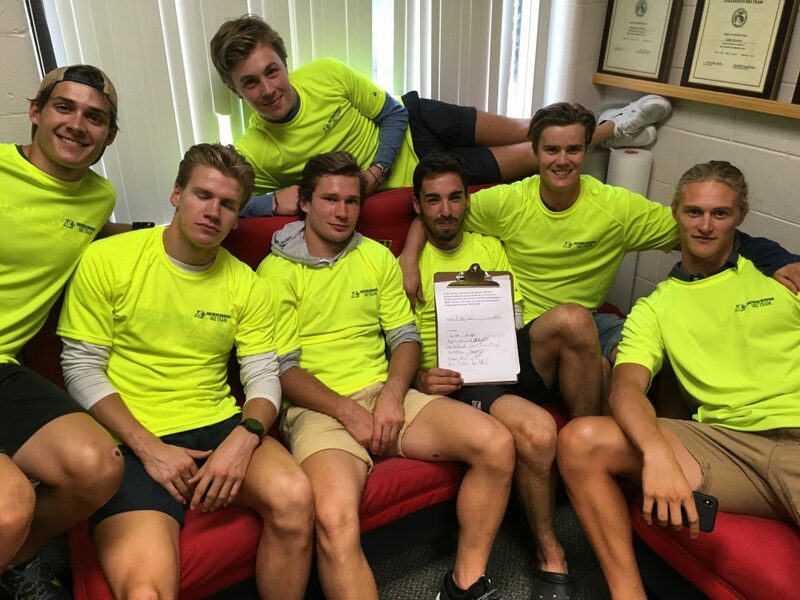 Torchia took their advice, as well as that of his NMU head coach, Sten Fjeldheim, who has helped other athletes diagnosed with mono safely return to training. The two worked out a meticulous day-by-day plan for Torchia’s return. Torchia redshirted the 2017 college season, but by March, he was back on skis. “I wasn’t really thinking about what other people thought,” Torchia said when asked if he was worried whether others were questioning his USST nomination during that time. Mono not only gave Torchia a little perspective, but also an extension on his time to compete in college. By redshirting in 2017, Torchia retained eligibility to compete in 2018 (as a junior) and 2019 (as a senior). In his fifth year at NMU, he is currently working toward a master’s degree in exercise science. This past March, he won the 20 k freestyle at NCAA Skiing Championships to become NMU’s seventh NCAA champion in program history. In the other race at 2018 NCAA’s, the 10 k classic, he placed fifth for All-American status. Earlier last winter, Torchia qualified for and competed at U23 World Championships in Goms, Switzerland. Torchia was renominated to the D-team for 2017/2018 and again this past spring for the 2018/2019 season. After his third-straight nomination, he approached his summer with revitalized vigor. 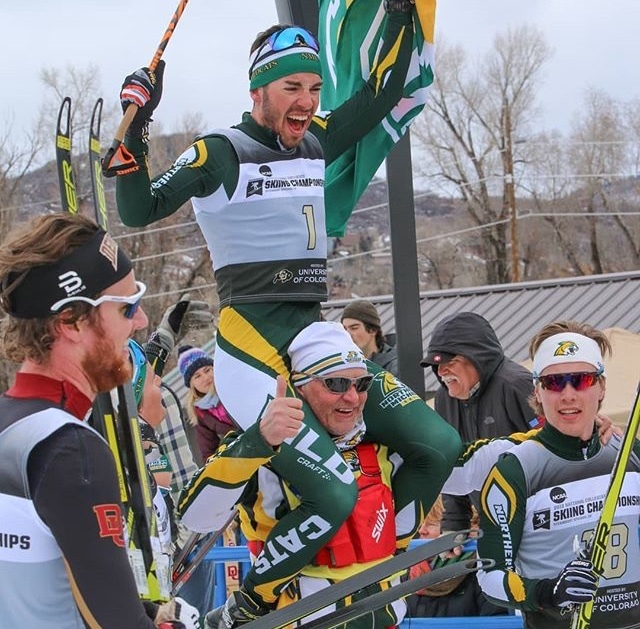 For the first time since enrolling at NMU, he decided to spend some time training outside of Marquette, largely as a result of a wedding invitation from his USST teammate, Erik Bjornsen. In July, Bjornsen and Marine Dusser were married in Villard-de-Lans, France. “After getting Erik and Marine’s ‘save the date’, I knew there was no way I was missing the wedding,” Torchia explained. He was accompanied by three teammates, Bjornsen, Simi Hamilton and Paddy Caldwell, and their coach Chris Grover. French national-team member Adrien Backscheider joined the group for interval sessions. Following the camp, Torchia had made arrangements to stay in Europe for another two and a half weeks, which was partially prompted by his Norwegian teammates at NMU. Over the years, many had encouraged him to travel to Norway and compete in the famed Lysebotn Opp, an uphill rollerski race in Norway’s Blink ski festival. Before heading to Sandnes, Norway, for Blink, Torchia made two stops. First, Oslo, where he stayed with his former NMU teammates Fredrik Schwencke, a native of the city, and Kristen Bourne, an American citizen currently training with the Lyn Ski Club in Olso. “Pretty lucky to have so many great friends and teammates that put me up throughout the trip,” Torchia wrote in an email. Torchia spent a week in Oslo before traveling to Kragerø, where he visited his current NMU teammate Mathias Aas-Rolid. A native of Redalen, Norway, Rolid has a cabin in Kragerø that he opened up to Torchia for “a pre-Blink training camp”. Following Kragerø, Torchia headed to Sandnes for the Blink races. Canadians Evan Palmer-Charrette, Scott Hill and Bob Thomson had rented an Airbnb in Sandnes for the weekend, and keeping with his summer nomadic style, Torchia crashed on their couch during the festival. He competed in the 60 k distance race as well as the Lysebotn Opp. The 60 k was what Torchia referred to as “an add-on to the main focus of Lysebotn. Without feeds, Torchia explained that he “bonked” halfway through the 60 k and ended up finishing 55th. The result left him ready to “turn it around” for the 7.5 k Lysebotn Opp the next day. He managered to position himself well early on in the race’s mass start and within the first kilometer, found himself with the likes of Russia’s Sergey Ustiugov and Finland’s Iivo Niskanen. Torchia placed 13th, just over 2 minutes behind the winner (and 2018 Olympic skiathlon gold medalist) Simen Hegstad Krüger of Norway and 15 seconds behind Canada’s Alex Harvey, who placed 10th. Torchia’s summer adventure ended after Blink, and he flew back to the U.S. on Aug. 6. 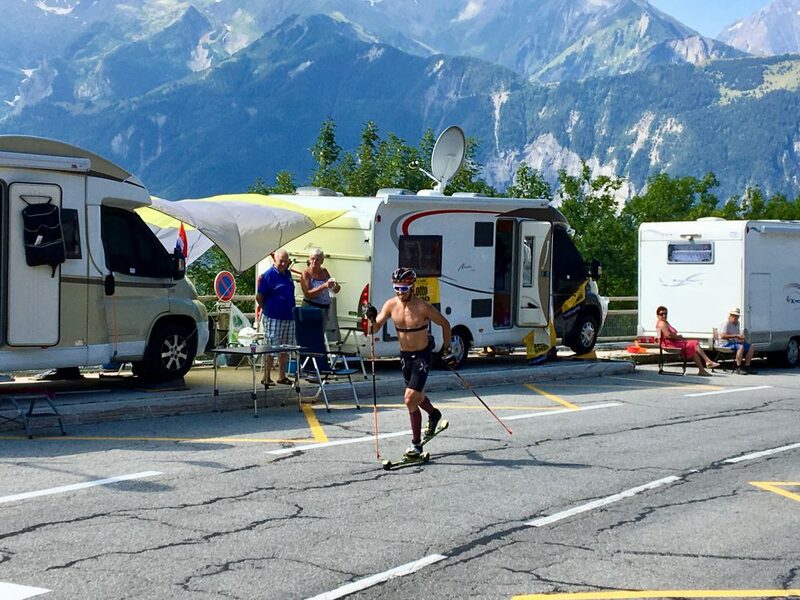 “Getting to do intervals with Adrien Backscheider, [South Korean/Norwegian skier] Magnus Kim, and then race with a World Cup field at Blink served me a big piece of humble pie but was a good indicator that the summer progress[ed] well,” Torchia wrote. Torchia is now back in Marquette, focused on school and skiing. Beyond college races, Torchia is targeting 2019 U.S. nationals in Craftsbury, Vermont, 2019 World Championships in Seefeld, Austria, and 2019 World Cup Finals in Québec City.